By registering for Rewards4Surfing you agree that you have read these terms, understand them, and agree to be bound by them. You may only register for one Rewards4Surfing account.If you forget your sign in details send us a support ticket and we can help you log in to your account. To join you MUST be over 18 years old. You may not promote Rewards4Surfing in a way that could be considered spamming. You may only promote your referral URL and/or other promotional material in other traffic exchanges or advertising programs that allow it. Promoting Rewards4Surfing in a way that could be considered spamming will result in removal of your Rewards4Surfing account and possible legal action. 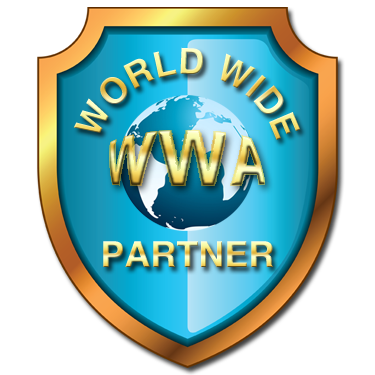 We send emails about the site and current promotions most days and you can always OPT OUT of any Rewards4Surfing mailings in your profile area. A bounced email MAY get you SUSPENDED. Users are completely responsible for the content they promote using Rewards4Surfing. Users are responsible for ensuring they have the rights to promote a URL, and any content it contains. Rewards4Surfing is not responsible if a user is in violation of another legal agreement, copyright infringement, or any other issues. However, we can suspend any site if it is deemed to breach these terms. Before submitting a URL to Rewards4Surfing, please read these rules very carefully and make sure your URL does not violate any of them. If you violate any of these rules, your site will be deleted along with any credits assigned to them. Your Rewards4Surfing account may also be deleted. *No frame-breaking sites.No pop ups or pop unders! *ENGLISH ONLY please. Sites in English only will be acceptable. We have the right to suspend ANY member WITHOUT WARNING who we suspect may be trying to cheat the system in any way. These include: Not looking at the surfing page (using a bot program that surfs for you), not passing the surf verify pages, if you aren't reading and responding to the admin personal messages that pop up to you while you surf, having other people surf for you, having more than one person surfing one account, etc. You cannot use robot/auto surf software of any kind. If you get SUSPENDED we have the right to delete ALL commissions owing and credits etc earnt. Also, you have the right the email admin and explain your situation. Members MUST use their REAL NAME when registering. Users identified as NOT USING their REAL NAME will be suspended pending a review. Commissions may also be withheld if REAL NAME is not used. UPGRADES: It is a members right to stay a free member and they have an equal opportunity with any promotions. 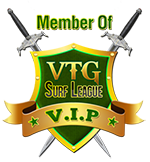 Upgraded members will receive extra advertising and a faster surf timer. If you buy an upgrade you get THAT UPGRADE ONLY. You are not guaranteed any CASH FOR SURFING. If a member purchases an upgrade greater than a month then the member is required to log in and the advertising allocation will be automatically provided. When you join you provide an email address. This information is used to contact the user about the service and products we provide or wish to provide.We will not sell, share, or rent personal information to others. If a user's personally identifiable information changes, we provide a way to correct that user's personal data provided to us. This can be done within the member area. Our users can cancel membership and be removed from all newsletters and databases. If R4S is sold the data base and information contained will become the property of the new owner. R4S does not store any credit card details as payments are secured via a third party (Moonclerk). Rewards4Surfing.com is NOT an Internet Investment Business. It is not compulsory to invest any money and we will not pay you interest on any money you send us. If you purchase goods or services from this website, there will be no element of "investment" in that payment. And the entire purchase price will be for the selected goods or service only! We do not guarantee any kind of results from using our services. There is NO GUARANTEE that you will earn any money using the techniques and ideas in any of these programs or associated services. There are also NO Guarantees of traffic amounts or frequency of visits to any advertising purchases. This is NOT a multi-level-marketing site, matrix, pyramid scheme, get-rich-quick, auto surf or pay per view site or anything resembling that kind of site. This is an ONE LEVEL commissions advertising site only. We do not guarantee you will make any money with R4S because, as with anything marketing related, it is entirely down to how much time and effort you are willing to put into it that determines how much you get out of it. To be eligible for payout: reach the minimum payout of $10 (upgraded members) and $15 (free members) and have logged in to R4S AT LEAST ONCE during the year. Payments are made via your Payment Processor, so please have a relevant email in your profile. A processing fee will be deducted by the payment processor. Send in a Support ticket after you have reached the required amount. NOTE: If any purchases are manually performed there will be NO commissions given to your up-line. WE DO NOT USUALLY OFFER REFUNDS, however, we are happy to exchange for another means of advertising within our site because of the nature of the digital products and services.These sales offer immediate benefit so a refund is not justified. R4S is in no way associated with any payment processor. We use them to process payments from sales from this site. We shall not be held liable for any damages, issues, or losses that may occur as a result of member's association with and use of any payment processors. If a member deletes their R4S account, that member will be responsible for cancelling any upgrades or other subscriptions member may have. It Is the member responsibility to cancel their subscription from within their payment processor account otherwise the monthly fees will continue. YOUR payment processor account is YOUR responsibility! If you do cancel your membership with us with a subscription you can get a refund minus a charge to do the refund ($1)If you do have an issue with a product/service please send in a support ticket and we can work the issue through.If you don't do this due process we have the right to suspend you. Any disputes opened or filed with our payment processor(s) before contacting us will result in an immediate suspension of your R4S account until further notice and may result in your details being submitted to the Central Ban System across the LFM Network of Sites. Regarding the purchase of a Lifetime Upgrade: If you already have an upgrade, you can not receive a refund for what you have previously paid in a subscription. However, we may, if you send in a support ticket, add extra advertising to your account to compensate you based on normal price. You must cancel any active upgrade subscription you may have in your payment processor to not be billed for it again.